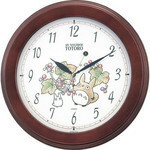 Definitely our favorite clock - one which perfectly captures the world of Totoro. 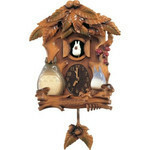 Plays the theme tune to My Neighbor Totoro on the hour every hour. Music volume can be controlled in case you need some quiet.